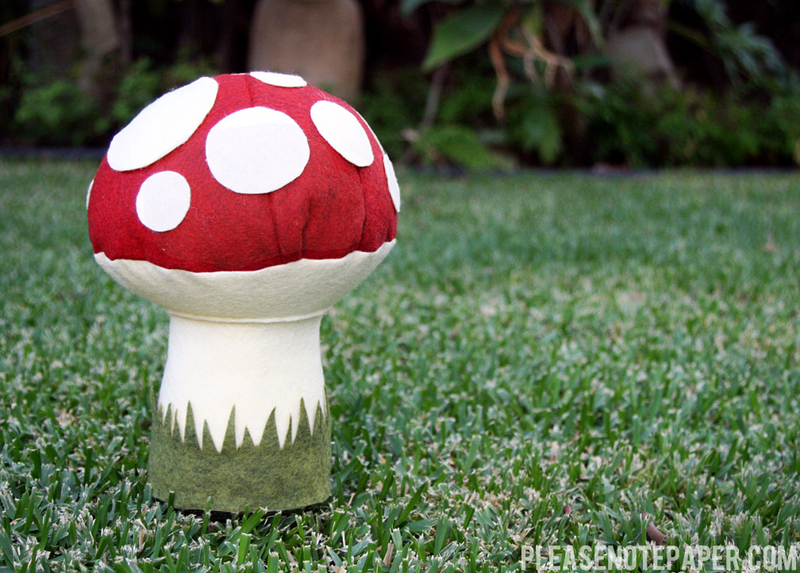 I made this plush toadstool for my friend Faby recently so I took some step by step photos to share with you guys. 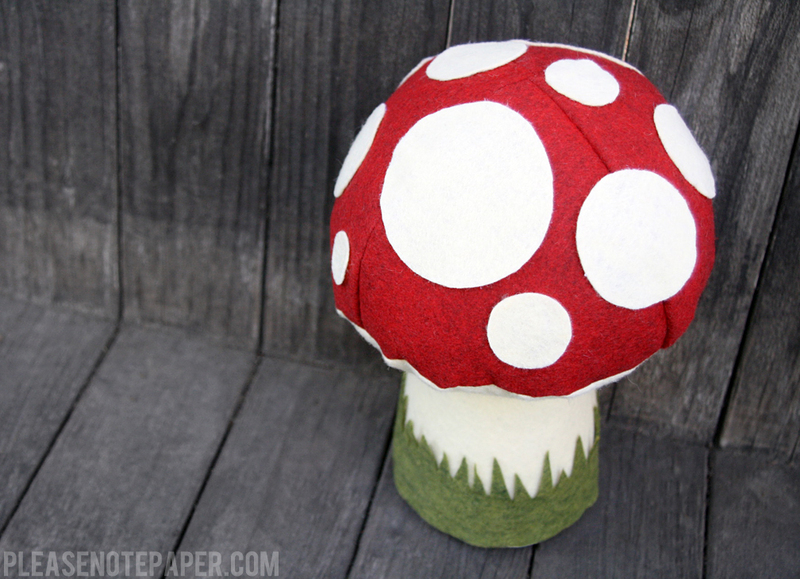 I found an awesome pattern for a toadstool pincushion and blew it up to about 300%. 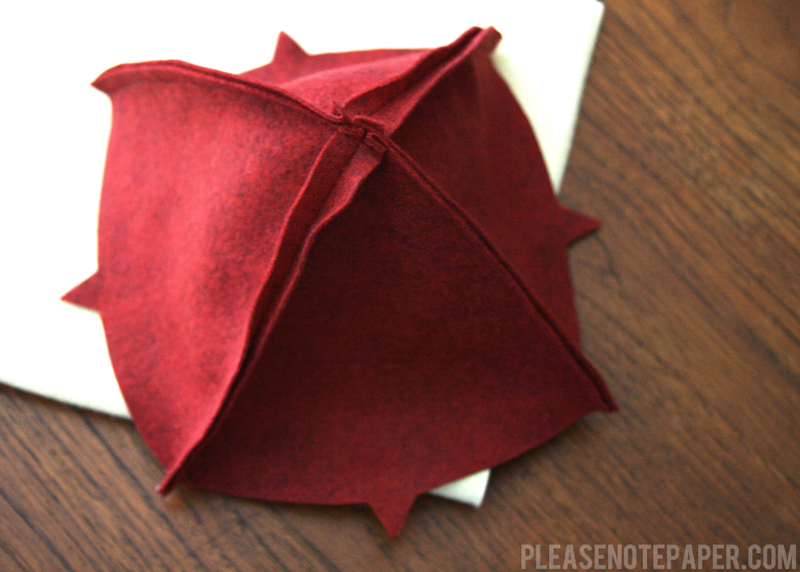 Click here for the original pattern and an illustrated tutorial. 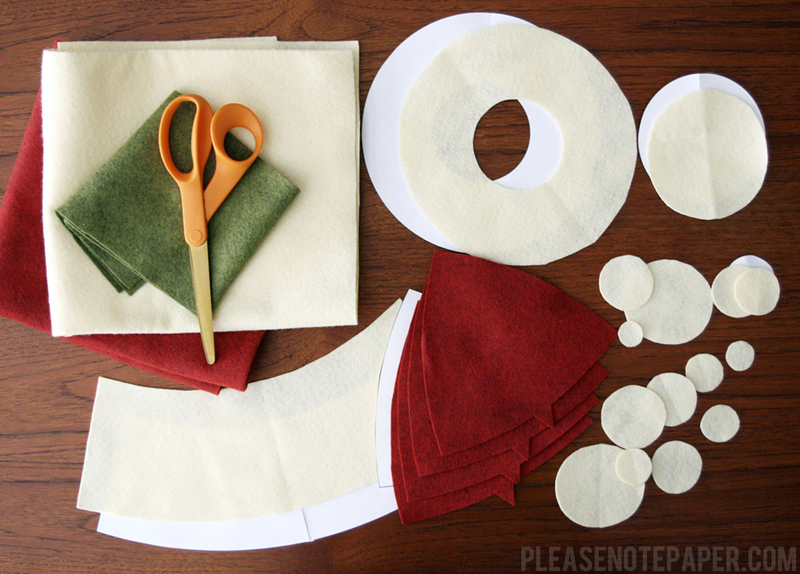 Start by taking a look at the original tutorial and familiarizing yourself with the directions. The pattern is available there too. I downloaded it, blew it up to about 3 times the original size and then printed it. After that I cut out all of the pieces. 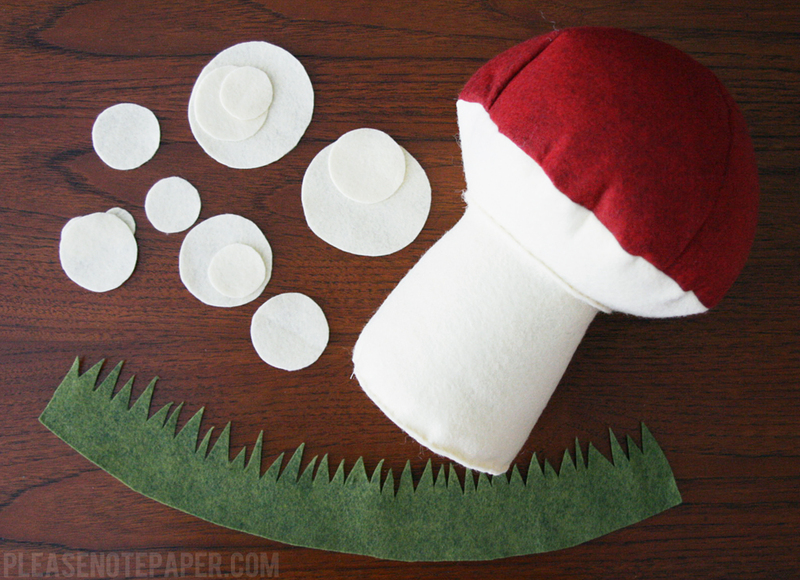 You'll need: 4 red rounded triangles, 1 cap bottom, 1 stalk, 1 stalk base, lots of dots for the top (I made mine different sizes), and some grass (cut it to be exactly like the stalk and then cut thin triangles off the top so it looks like grass). 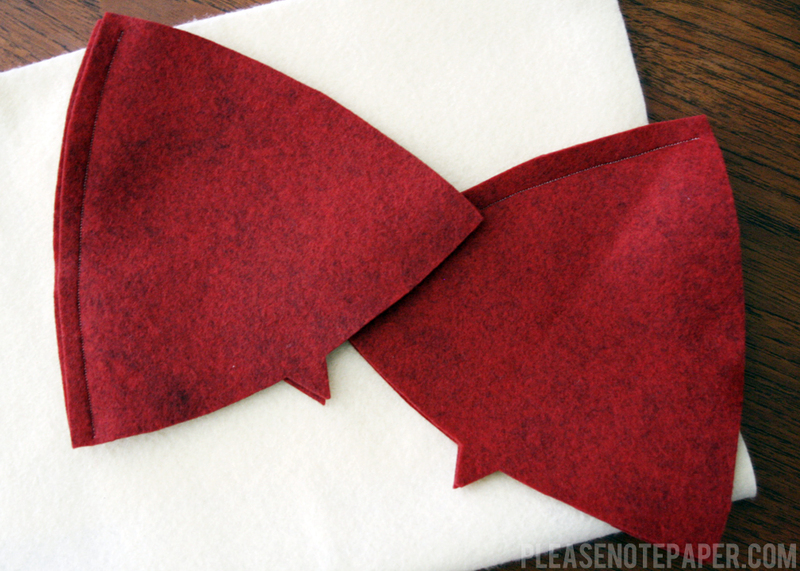 Sew two triangles together (one side only) and then sew the other two triangles together (also one side only). 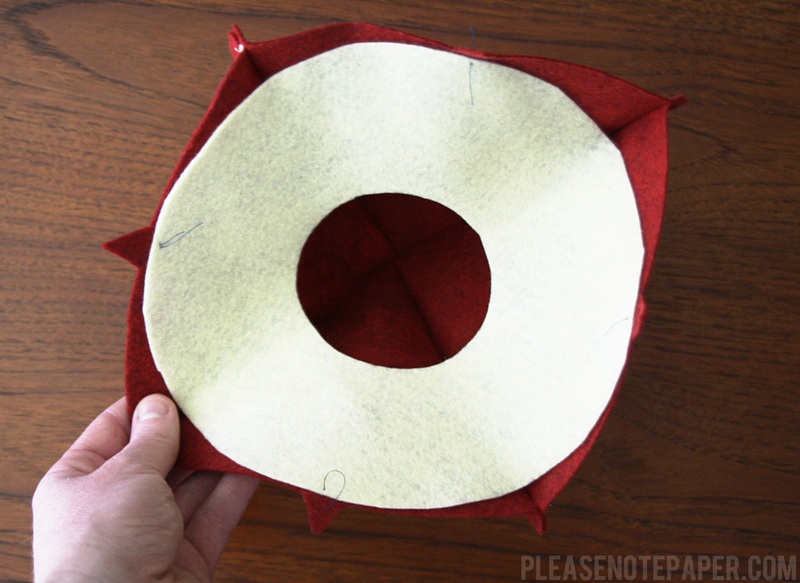 Open the pieces, lay them flat (one on top of the other), and sew those together. It should look like the photo below at this point. At this point you can turn it right side out and sew the spots on but I decided to just hot glue them on later. 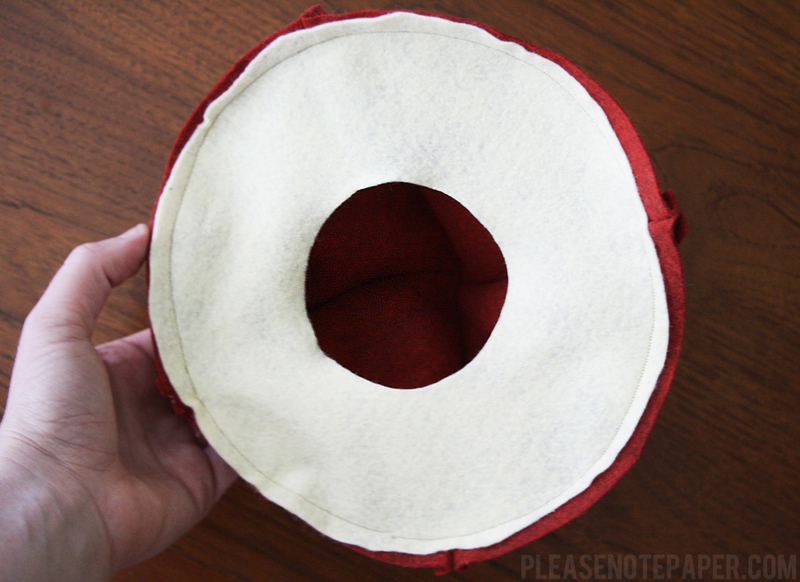 Now, the cap should be inside out for this part. Baste the bottom of the cap to the top. 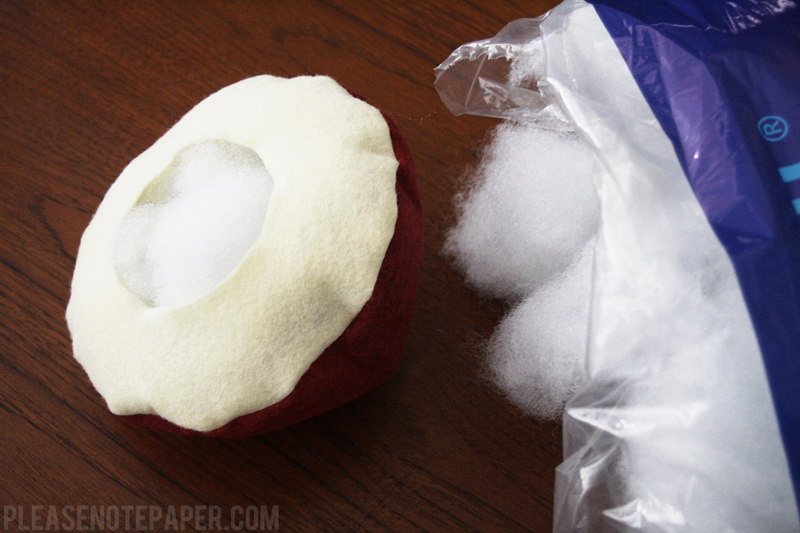 Sew the bottom to the top. Flip it right side out and stuff it. 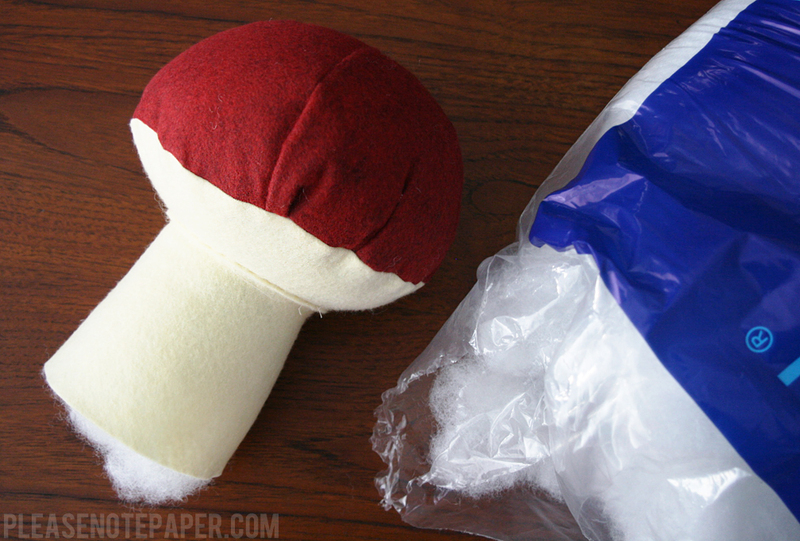 Take the stalk and sew the sides together so it looks like a tube. Turn it right side out. At this point I stopped using my machine. 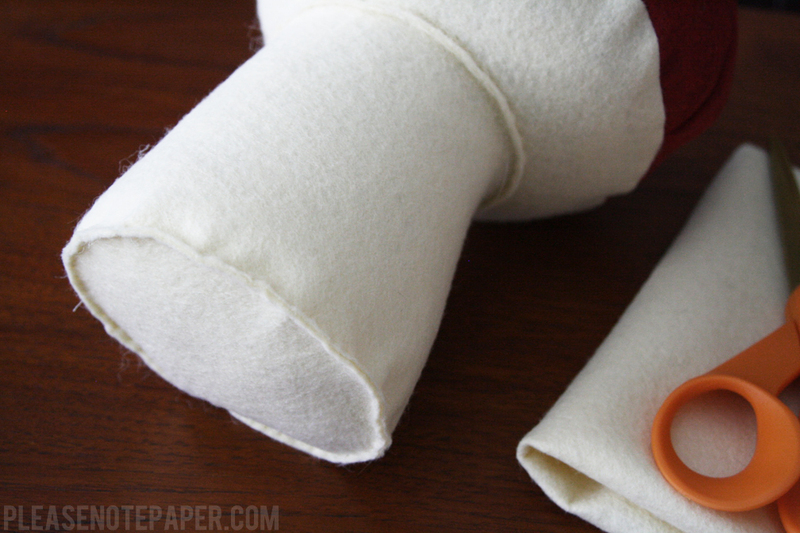 Hand sew the stalk to the top. I used the ladder stitch. Stuff the stalk. 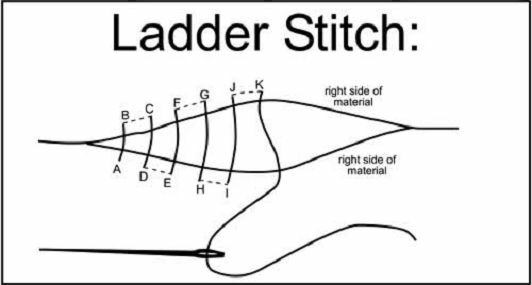 Use the ladder stitch to sew the base to the stalk. Now it's time for the grass and the dots. I hot glued them on but obviously you could sew them on if you like. That's it! It's not a simple project but it's sure worth the effort. I love it! It's so cute. Thank you for sharing. I'll try to make it. thank you so much fantastic!